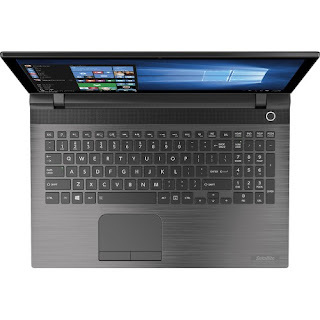 The TOSHIBA SATELLITE C55T-C5300 is another laptop PC which comes packed with the processing muscle of 5th Generation Intel Core i3-5020U ultra low voltage (ULV) dual-core processor based on the Broadwell architecture that features 3 MB level 3 cache and runs at the clock speed of 2.2 GHz. It has an integrated graphics controller dubbed Intel HD Graphics 5500 offers 24 Execution Units and capable of rendering high definition movies and playing less demanding games demanding games with ease. 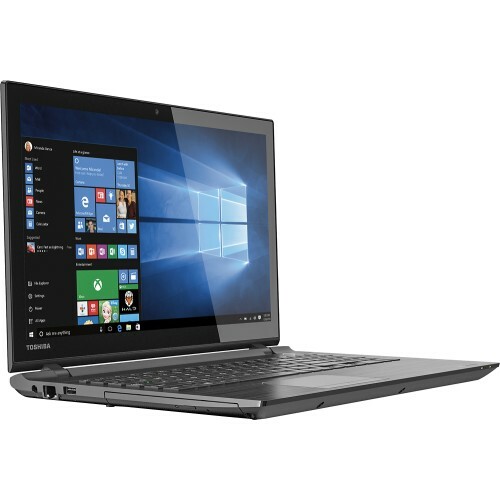 The TOSHIBA SATELLITE C55T-C5300 laptop PC boasts with display features such as 15.6" Full HD display with TruBrite technology, LED backlit and 1366 x 768 HD resolution. The resolution in this laptop PC is not that high so it is expected that the display in this laptop is not that sharp and clear compared to laptop PCs with higher resolution. It comes in brushed black finish for stylish look. The TOSHIBA SATELLITE C55T-C5300 laptop comes with 6GB system memory for dependable multitasking; 1TB hard drive for ample file storage space; built-in media reader for simple photo transfer that supports SD memory card format; SuperMulti DVD/CD burner; full keyboard with 10-key numeric keypad; built-in HD webcam with microphone; stereo speaker; and 4-cell lithium-ion battery which will give you several hours of working away from the main source of electricity. In terms of connectivity, this TOSHIBA SATELLITE C55T-C5300 laptop PC is equipped with Bluetooth interface syncs with compatible devices; 1 USB 3.0 port maximizes the latest high-speed devices; 2 USB 2.0 ports to connect more accessories and peripherals; wireless and wired network connectivity; and HDMI output expands your viewing options. 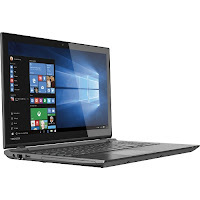 The TOSHIBA SATELLITE C55T-C5300 laptop PC is powered by the Microsoft Windows 10 operating system. 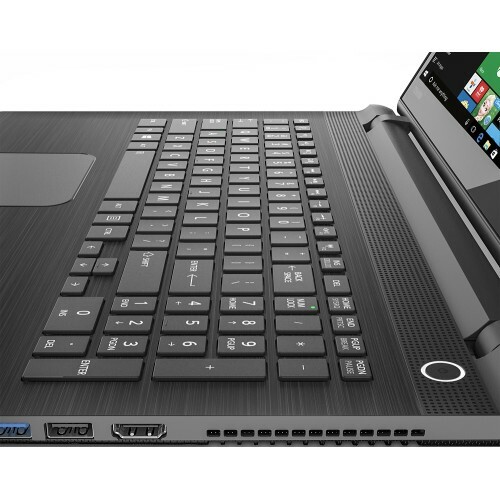 The laptop PC measures around .96 inch x 14.96 inches x 10.19 inches and weighs about 5.29 pounds. You can have this computing device at the price of $ 379.99. Other devices in this price range include Lenovo Ideapad 500 - 80K4001MUS and Asus X555LA-HI31103J.